A progress bar is useful to let your users know that the app is doing something in the background,loading a web page etc. 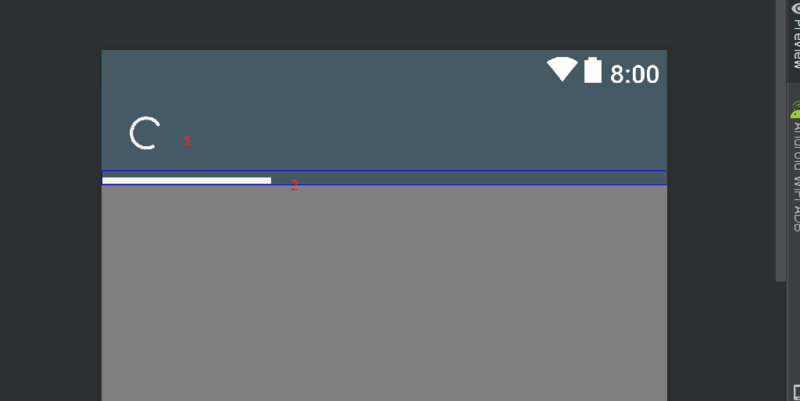 a progress bar is a must have element in an android app where it is required. You need a custom toolbar so use a theme such as Theme.AppCompat.NoActionBar in your app (Styles.xml or in manifest).